Oh my. This is officially on my Christmas wish list. Too bad Amazon is currently only selling it through 3rd party associates for double or more retail price. It’s $30 at Toys R Us. 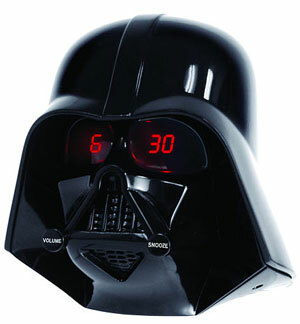 The kid part of me says that I totally agree that this is a cool alarm clock. The adult in me is seeing that in runs on batteries- I don’t see indications that you can plug it in. Even with chargeble batteries, it seems annoying to need to use batteries.